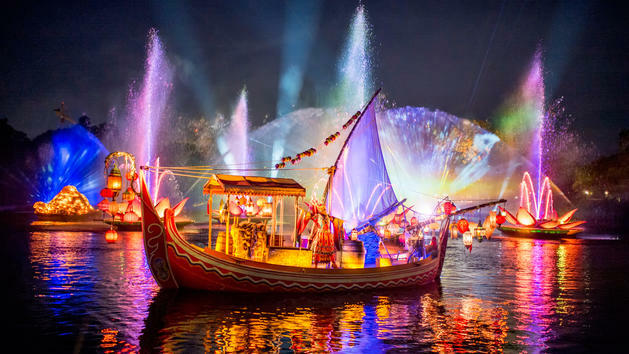 Rivers of Light is a nighttime show at Disney’s Animal Kingdom in the Walt Disney World Resort. Rivers of Light is located in the park’s Discovery River lagoon between Discovery Island and Expedition Everest. The show features water fountains, mist screens, floating lanterns, fire effects, lasers, lights, fog, projection mapping and live performers and incorporates the park’s Tree of Life into the show.